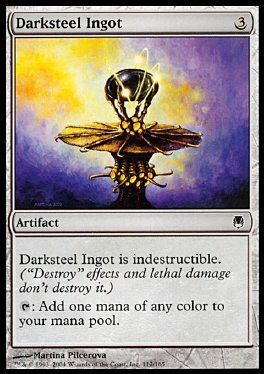 Darksteel Ingot is indestructible. ('Destroy' effects and lethal damage don't destroy it.) T Add one mana of any color to your mana pool.